It's live! Check out the Festival Schedule here!! Aloha!...SO MUCH GOOD STUFF HAPPENING! TOM CARROLL 1980-1985 PHOTOS AND SHORT FILM, BBSF photo competition unveiling, SURF LEGENDS LOUNGE W VAUGHAN BLAKEY, biggest fluoro Friday, WOMEN: BEYOND THE CURL WITH WORLD CHAMPS AND GUESTS...STEPH GILMORE, LISA ANDERSON, KELIA MONIZ, Twilight Surf Art Markets, BBSF ARTSHOW, Sunset Cinema Australian film Premiere, BEACH CLEAN UP, Surf Art Markets, MOVIE & EVENTS BYRON THEATRE, Freestyle & Stoke Surf Sessions including The McTavish Trim, HUUUGE BBSF WRAP PARTY Beach Hotel!! ...and live music every other night!! MORE GUESTS AND MUSIC TO BE ANNOUNCED...Stay Tuned!! 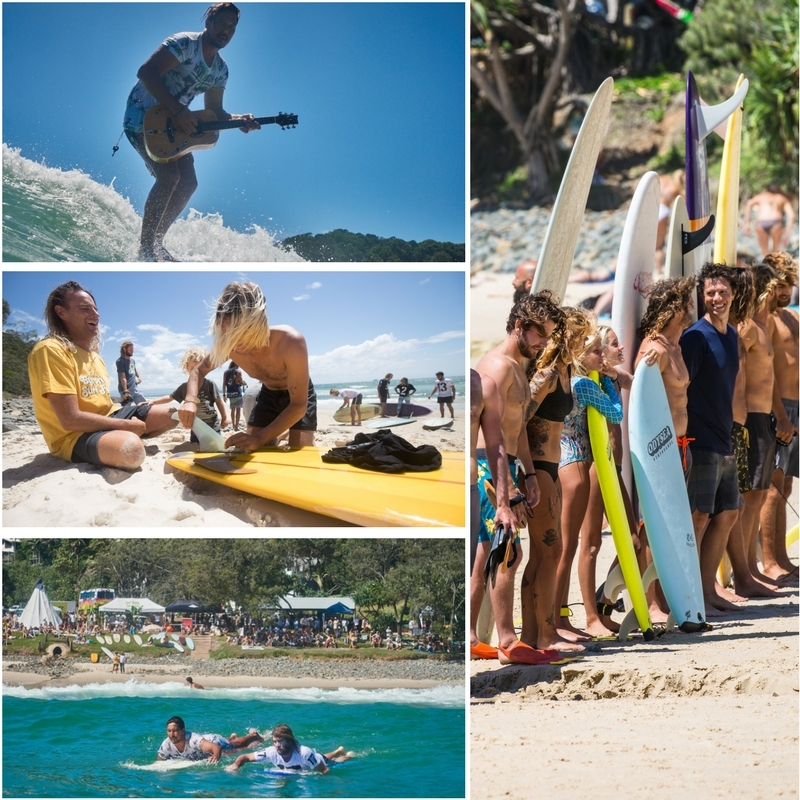 We look forward to see you in Byron Bay!! !